How much do the Rolling Stones appreciate Cuba? Here's their message in Spanish. No wonder there's been few live updates on Twitter -- few Cubans can access it, given their limited internet access. If you're in one of these 15 cities, you can see the Rolling Stones in concert this summer. Tickets for all U.S. shows go on sale Monday April 13. #StartMeUpWednesday is here. 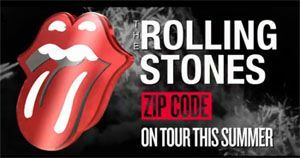 The Rolling Stones have been teasing today's 9 am announcement of their 18 city U.S. tour all week. There are billboards up in some cities, like Chicago. Las Vegas seems to have made it. I'm writing this before the 9am announcement so no one knows for sure which cities will be included. 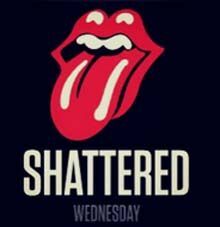 Two hours to go until the live Rolling Stones concert at Newark's Prudential Center on Pay Per View. Appearing with them: Lady Gaga, Bruce Springsteen, and the Black Keys. This is the last scheduled concert on this 50th Anniversary tour in the U.S. Here's how to order. You can also order to watch online. 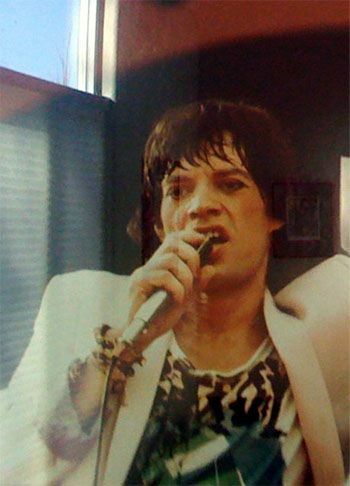 The Stones' Twitter feed is here. L'Wren Scott just posted this photo 1 minute ago, they are already there and all smiles. L'Wren posts photos throughout the show, of the backstage areas and more, so follow her. 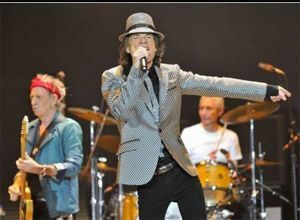 The Rolling Stones are about to take the stage in London for their first concert on their 50th Anniversary tour. Joining them for this performance: Mick Taylor, Bill Wyman, Jeff Beck and Mary K. Blige. Update: Here's some photos I grabbed off of twitter and from DirtyRock on FB. Here's the set list.